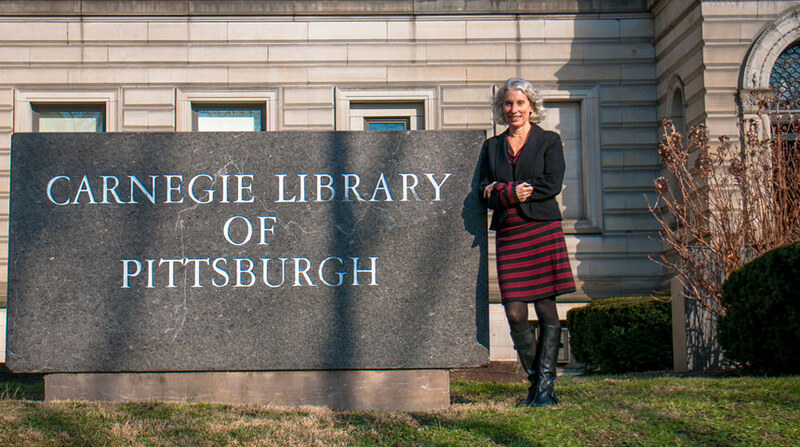 As the 11th President and Director of Carnegie Library of Pittsburgh, Mary Frances Cooper, MLS, champions the changing and increasingly important role of libraries in society, leads new efforts to secure avenues for sustainable funding and works to strengthen the Library’s relationships with key community partners. A nationally recognized library leader, Cooper served as the Library’s Deputy Director for nearly four years, where she led a community engagement process and oversaw Carnegie Library of Pittsburgh’s Main and Neighborhood Library Services, Youth Services, Teen Services, Technical Services, Volunteer Services and Library for the Blind & Physically Handicapped. During her tenure she built solid relationships with other library leaders in the region and across the state; was integral in strengthening the Library’s relationships with community groups, individual residents and Library Friends groups; and led service innovations including the CLP-LYNCS (the Library in Your Neighborhood, Community and School) outreach program. She also served as the District Administrator for the state-designated Pittsburgh Library District where she oversaw support services supplied by the District Center to 44 independent libraries in Allegheny County. In 2011, Cooper collaborated with community advocates to propel Our Library, Our Future, a voter initiative that raises more than $3 million annually for library services, to successful completion, often serving as the initiative’s spokesperson to the community and media. With 30 years of experience, Cooper has worked in all facets of library service and has distinct experience in the operations of urban public libraries, including Deputy Director, Public Services, Branch Libraries for New York Public Library (NY), where she was responsible for the operation of 87 branch libraries in the Bronx, Manhattan and Staten Island; Chief of the Central Library at Minneapolis Public Library (MN) and Assistant Director of the Louisville Free Public Library (KY). Through these positions she provided direct oversight of multi-branch library operations, collections and budgets, community interaction, strategic visioning and collaborative planning. Cooper is the current chair of the board of the Electronic Information Network (EIN), which provides network and computer integration services to all libraries within Allegheny County. She also is a member of the American Library Association, Public Library Association and Library Administration and Management Association. Cooper holds a M.S. in Library Service from Columbia University School of Library Service and a M.Ed. in Community Counseling from the University of Louisville.